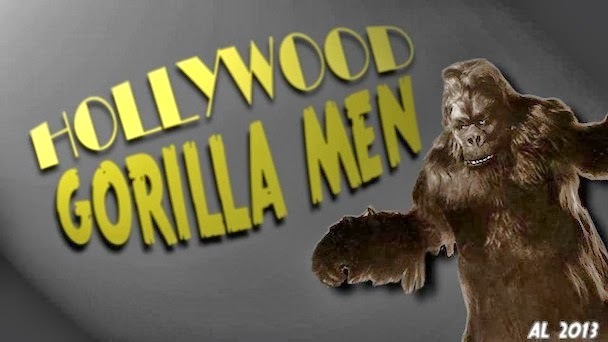 Hollywood Gorilla Men: Gorillas amuck indeed ! 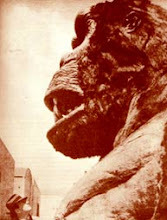 What an amazing find gorillaman ! You are absolutely correct, that is indeed Art Miles behind Van Horn ! If i'm not mistaken, behind Charlie, that looks to be Ray Corrigans second suit. I could be Ray himself, or possibly Steve Calvert. 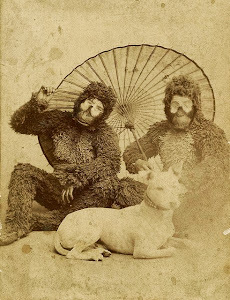 I'm on the hunt to find out what this delightful film is ! 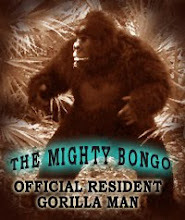 I may have identified the film, Bongo -- see my comment under the posting of the photo. A lot more-a Gemora !